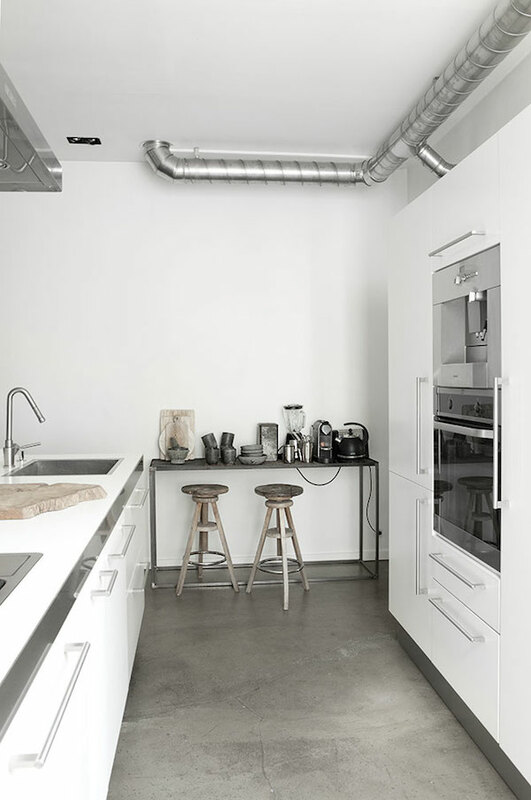 When looking at the 140 m2 apartment in the middle of Copenhagen of Swedish stylist Ingeborg Wolf and Claus Larsen many people say it has a New York style, Ingeborg herself is more inspired by the Raw romance of some Parisian apartments. 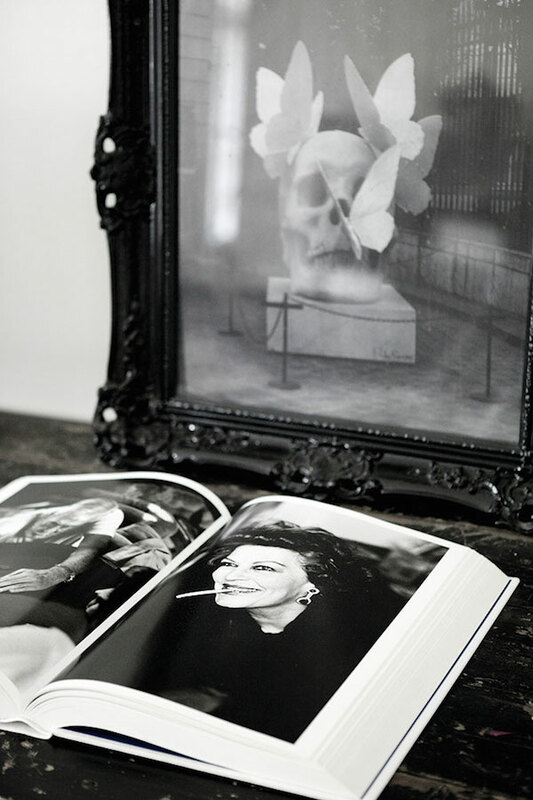 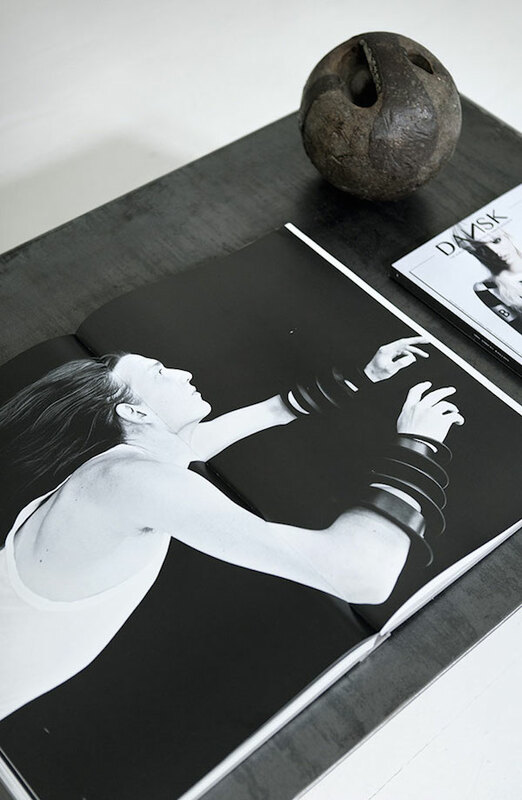 Although I do not own anything designed by Rick Owens, simply because I never really dare to even think I could own and most of all afford a piece at home, I see the love for his style in this home. 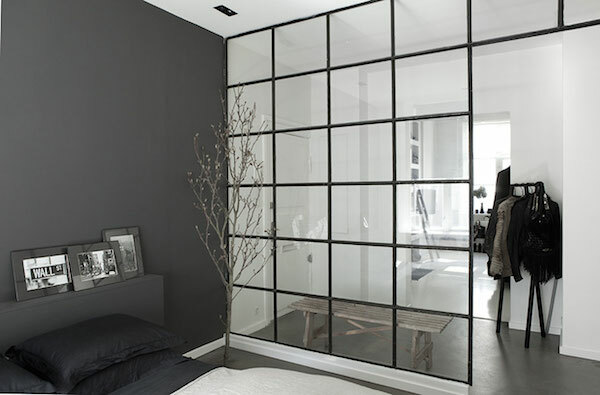 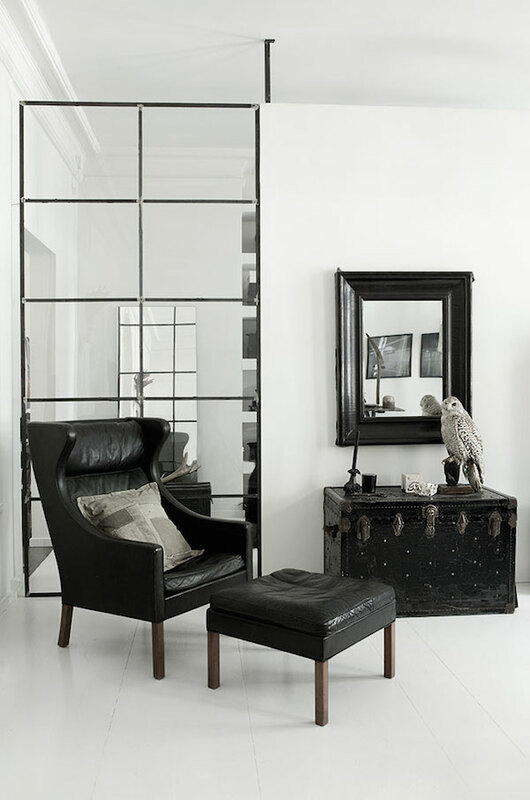 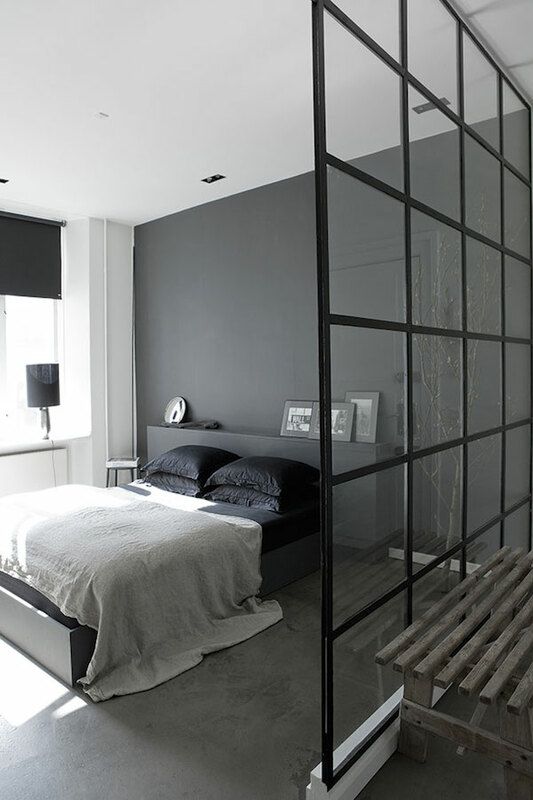 The apartment is overall kept in black, white and gray with materials like wood, iron and leather. 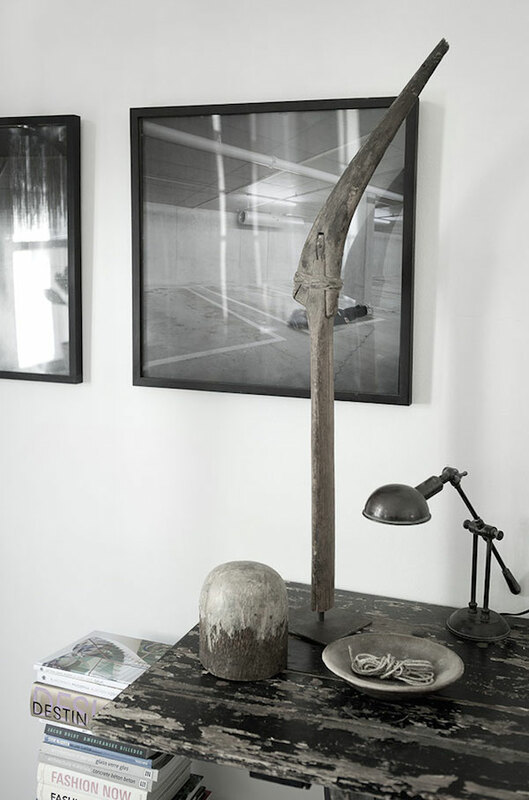 Ingeborg is a big fan of fashion designer Rick Owens' dramatic avant-garde design filled with dark colours, rough furniture, old wood, metal, skulls and antlers. 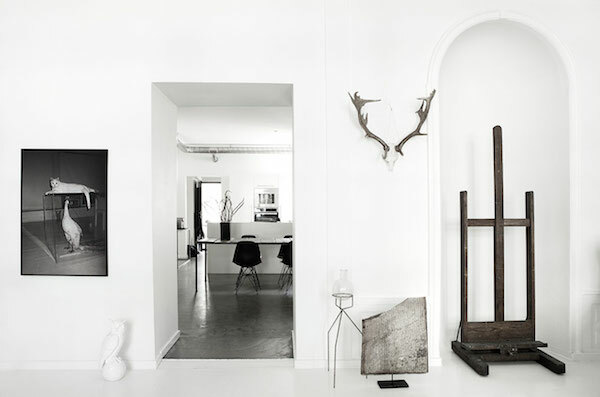 I think this is an amazing home with it's elegant and raw spartan style, perfect industrial elements and sparkling white plastered walls.